The challenge I tackled here was to synthesize all of their learnings and service offerings into a cohesive and usable product strategy framework that not only explained their services but their methodology as well. Through this work, I saw the crucial need to weave their work into a simple and compelling narrative as a marketing tool for business development as well as internal cohesion on messaging for the organization. 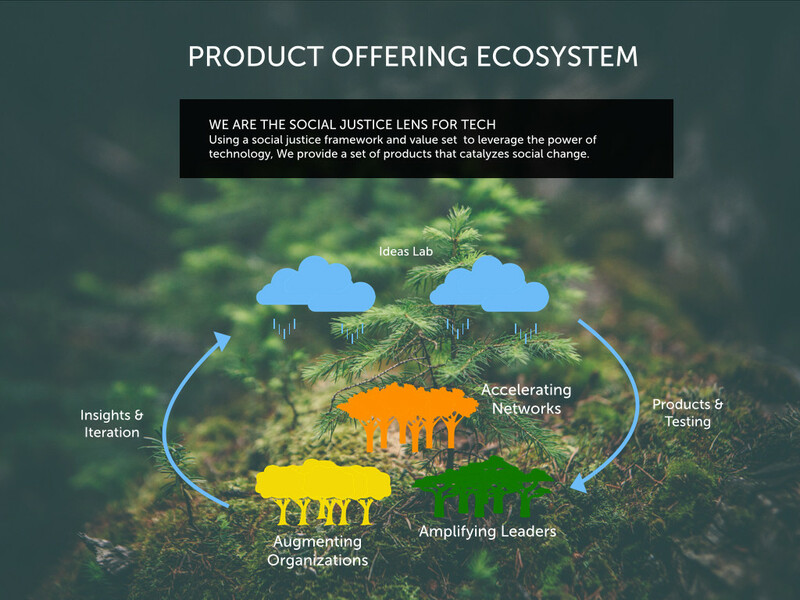 I used a forest metaphor to explain how this organization affects social change. 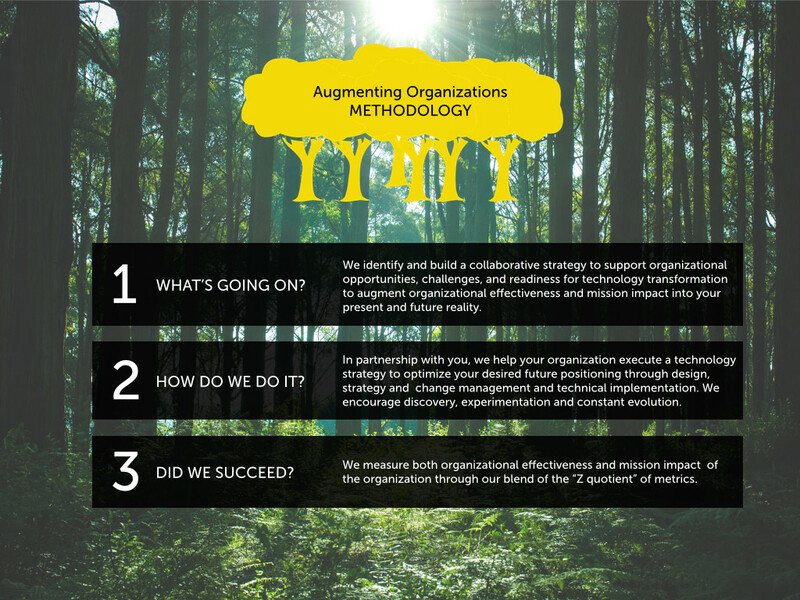 I refined their methodology and simplified it into core 3 steps in how they help organizations use technology more effectively.